A man trying to hide a deadly secret from his past manipulates his wife and tries to convince her she is going mad. "Gaslighting" is a term that we've heard a lot in recent years. 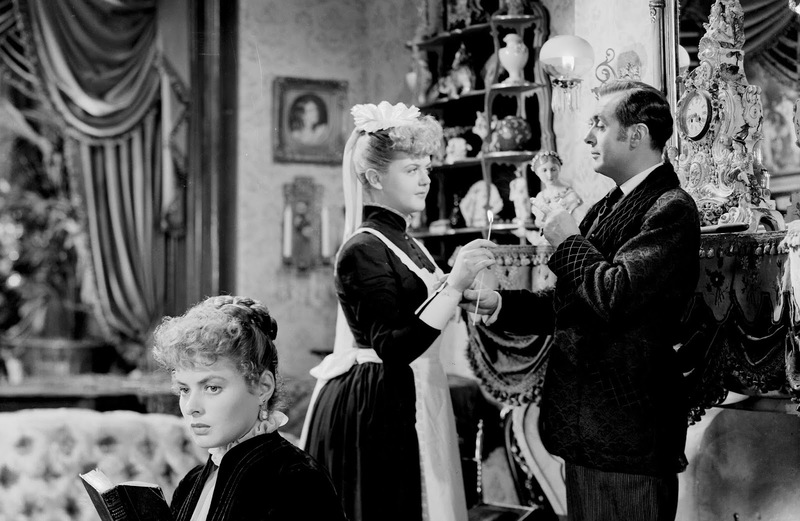 If you ever want to learn what it means or find out where it came from, it originated in a 1938 play "Gaslight," which was later adapted into a film in 1940, and then again in 1944. The 1944 version of is directed by George Cukor, who is known for other features such as "Adam's Rib," "My Fair Lady," and the 1954 version of "A Star is Born." 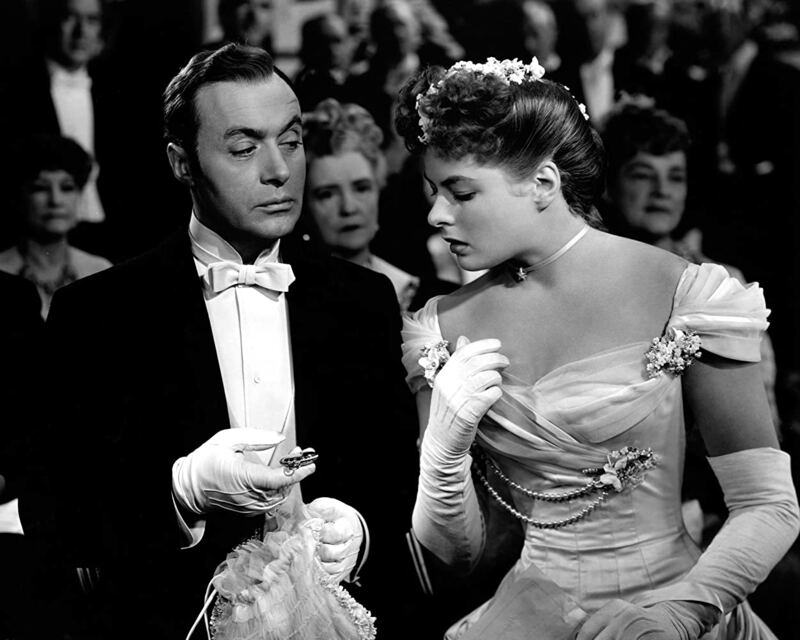 The story is about a young woman named Paula Alquist (Ingrid Bergman), who was traumatized when she discovered her aunt's dead body strangled by a murderer. Despite inheriting her aunt's home in London, she has left the country and traveled to Italy to train to be a professional singer and get away from the bad memories. There, she falls in love with a pianist named Gregory Anton (Charles Boyer), who espouses a dream of one day living in a little square in London. Against her better judgment, she decides to fulfill her lover's dream by getting married and moving into her aunt's old home. What Paula doesn't know is her new husband has a dark, murderous secret, and he will do anything to keep it hidden, including trying to convince his wife that she is crazy. It's a bit ironic that MGM tried to destroy all of the copies of the original 1940 version of this story. In essence, MGM gaslighted audiences into thinking this play hasn't been adapted into a film four years prior to the release of George Cuckor's movie. We haven't seen the 1940 incarnation or the original play, but we will say that this adaptation makes for an enthralling film. It is a crime thriller that plays out like a mystery. Though the secret to everything is pretty obvious, that doesn't make it any less compelling to watch unfold. In fact, it's pretty radically dramatic for 1944. The tension and intensity in this story come from the systematic, deceptive mental abuse that Gregory Anton unleashes on his wife, and in a way, the audience as well. He spews a series of lies as he tries to trick Paula into not believing her own eyes, ears, or memories as he slowly drives her insane. Ingrid Bergman gives an absolutely fantastic portrayal of a woman's slow descent into self-doubt and madness. This really is her show. In fact, she took home the best actress Oscar for her performance in this film, which was much deserved. Charles Boyer is also great as a downright dastardly man with a secret agenda who tries everything he can to take advantage of his wife. 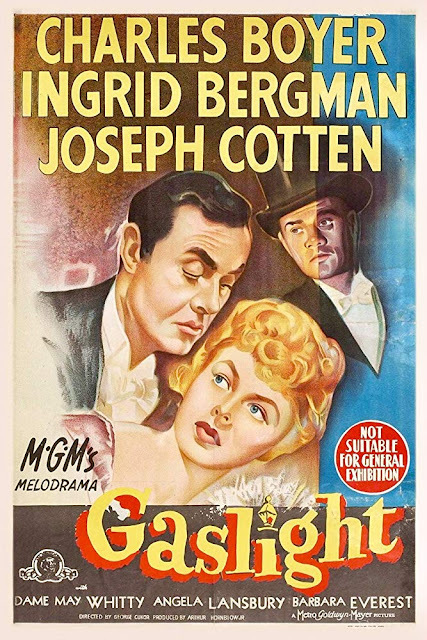 "Gaslight" is almost 75 years old, but it is a terrific film that shows how mental abuse works and how people use lies to manipulate others into not trusting themselves. It was nominated for seven Academy Awards and took home two. This one is definitely worth checking out.